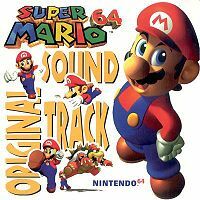 The Super Mario 64 Original Soundtrack is a video game album that was produced and copyrighted by Nintendo and published by Pony Canyon. The album was released in Japan and North America in 1996 and Europe in 1997. 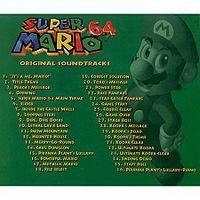 The soundtrack has thirty-four tracks from the game with the same name, a voiceover intro from the title screen, which is performed by the star of the game, Charles Martinet, and the final track is a bonus piano version of Piranha Plant's Lullaby performed by Koji Kondo. The Japanese release is also the first of ten soundtracks in the Nintendo 64 Sound Series. This page was last edited on March 30, 2019, at 10:04.